North Point Press, 9780374536718, 288pp. In this wise and witty invitation to Buddhist meditation, Ethan Nichtern, a senior teacher in the Shambhala Buddhist tradition, investigates the journey each of us takes to find where we belong. 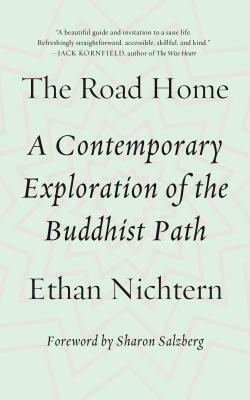 Drawing from contemporary research on meditation and mindfulness and from his experience as a teacher and practitioner of Buddhism, Nichtern describes in fresh language the basic existential experience that gives rise to spiritual seeking—and its potentially dangerous counterpart, spiritual materialism. He explains exactly how, by turning our awareness to what’s happening around us and inside us, we become able to enhance our sense of connection with others and, at the same time, change for the better our individual and collective patterns of greed, apathy, and inattention. The Road Home shows us that, in order to create a truly compassionate and enlightened society, we must start with ourselves. And this means working with our own mind—in whatever state we find it.